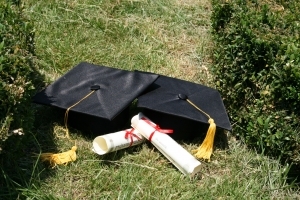 As school ends, prom and graduation celebrations occur and kids have time off to relax. Unfortunately, it’s also a time when teens are most at risk. The period between Memorial Day and Labor Day has been called the “100 Deadliest Days” for teen drivers. This period of time coincides with holidays and other celebrations and the number of teen fatalities in car accidents are higher during these days than at any other time over the course of the year. Our Boston drunk driving accident lawyers know that there are a lot of reasons why there are so many fatalities during the 100 Deadliest Days of Summer. One of the top reasons, however, is drunk driving. When teens take the chance and drive while they are intoxicated, they put themselves and others at very serious risk of being injured or killed in an auto accident. According to Mothers Against Drunk Driving, teens are more likely to be on the road during the summer months than at any other time. The 100 Deadliest Days of Summer correspond perfectly with the summer vacations for most high schools and colleges and kids have a lot of free time during these days. In many cases, this free time is unsupervised since parents work and kids are left alone during the day. Mothers Against Drunk Driving reports that teen car accident deaths are most likely to occur on these days, which have helped to earn the Memorial Day-to-Labor Day period the designation as the 100 Deadliest Days. In general, however, significantly more teens die during the May to August period than at any other time of the year. In fact, while an average of 346 teen car accident deaths occur during the non-summer months, the number of fatal accidents involving teens goes up to 399 deaths on average during May, June, July and August. This is a significant increase, especially since even one teen car accident death is a terrible tragedy. Limiting the number of passengers in the car with your teen. Eliminating trips in the car that have no purpose. Having a parent/teen driving agreement outlining acceptable behavior in writing. Restricting driving at night time. Enrolling teens in summer driving school. Making sure your son or daughter knows you are available to provide a ride, no questions asked, at any time. If parents follow these tips, they can help to ensure that their kids have the best chance of staying safe and making it through the 100 Deadliest Driving Days unscathed.